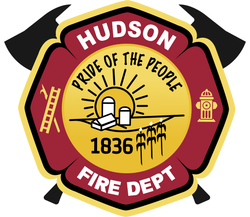 ﻿﻿The Hudson Community Fire Protection District protects Hudson and the surrounding area, including Lake Bloomington and much of Comlara Park/Lake Evergreen. We are always looking to shore up our ranks by adding new members. Members meet twice a month on the second and fourth Tuesday for training. Anyone interested and able to join is always welcome to visit and see what we are all about, as well as ask questions about serving the community in a very rewarding manner.